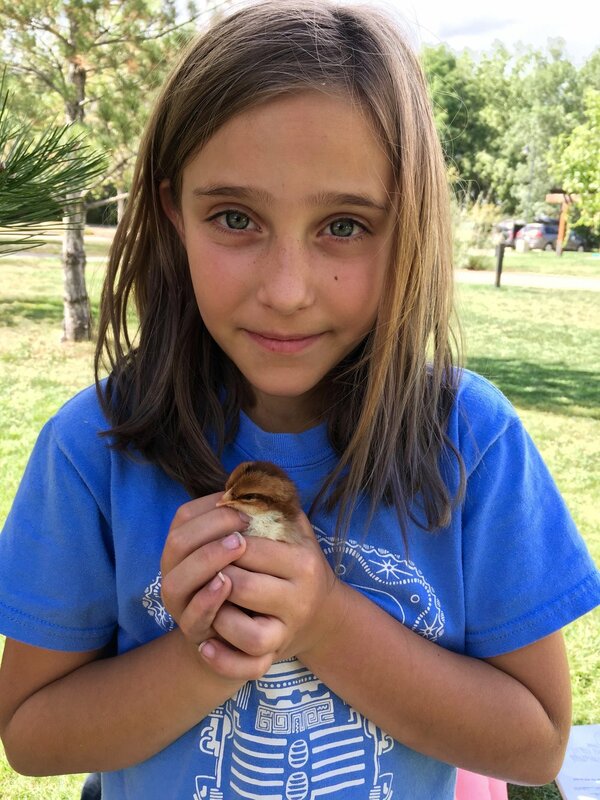 The Running River 2nd and 3rd grade class is raising chicks. We got the chicks in the mail when they were two days old. Now they are 1 1/2 weeks old. It has been amazing to watch them grow. 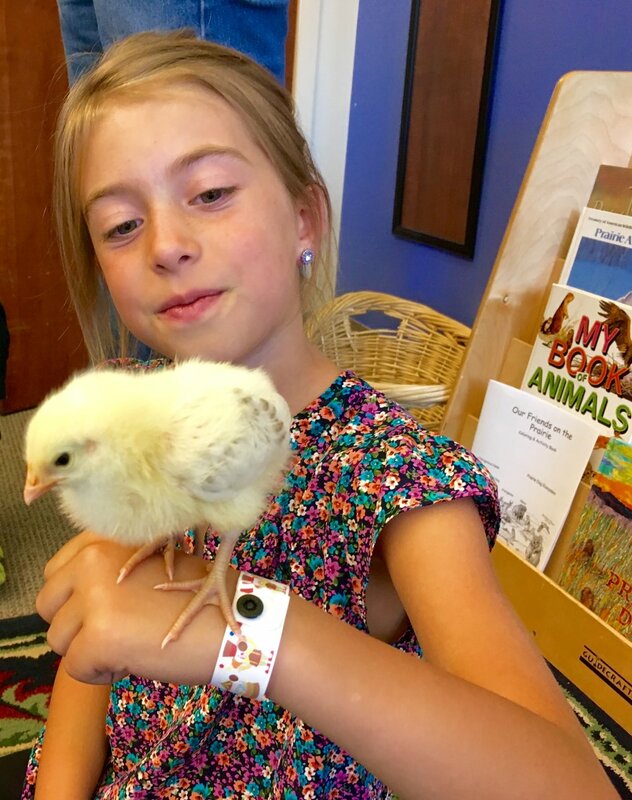 The children have each bonded with an individual chick and given them names. The class recorded questions they would like to know about chicks. We categorized the questions into ones we could answer with an experiment, with observation and with research. We started off with the experiments and observations. So far we have conducted two observation experiments and graphed them. First, we observed chick behavior when they were in a group and when they were not in a group. The children made tally marks to record how often the chicks ran, walked, pecked, ate and slept when together and when alone. Our next experiment was to observe chick behavior when they are inside versus outside. 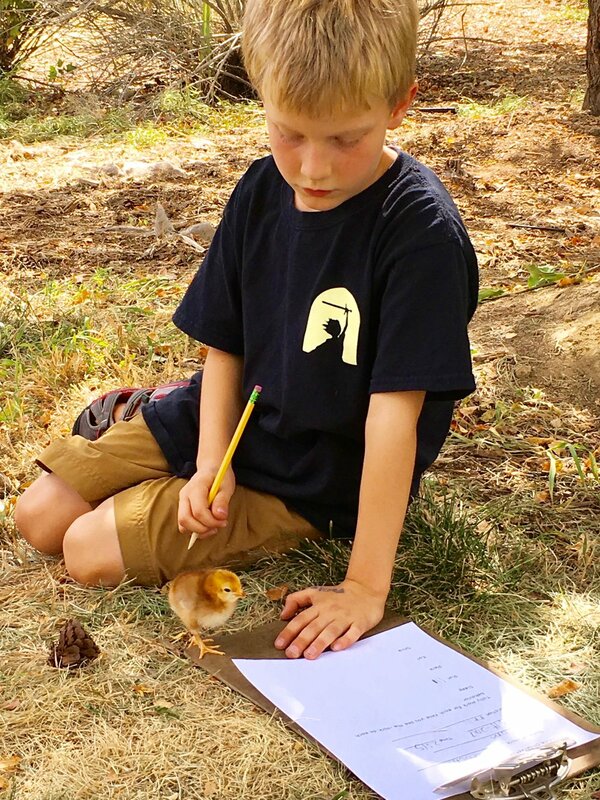 The students have loved collecting data on their chicks and learning more about their behavior. We will continue asking questions and graphing data. We are also writing a descriptive paragraph about the chicks, poetry and a "How to Care for Chicks Manual." The kids have even learned how to give the chicks naps by holding them on their backs. It is a daily adventure to notice the changes in the chicks.